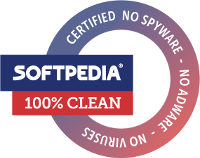 There is no spyware or adware, installer binary is a self-extracting 7-zip archive tested with VirusTotal service. Liteware tools has a limited functionality which can be unlocked after registration. FullOn is an utility designed to launch full screen applications/games on specific display device without changing the primary monitor setting. NOTE: Please unpack installer content to a path without spaces, e.g. "C:\Programs\FullOn"
TaskLayout is a portable utility for Windows which allow saving and restoring of the desktop layout (a set of selected commands/applications/windows with corresponding position on screen) with an assigned hotkey. TaskSpace is a liteware portable Windows utility which allow merging of multiple applications together in a single window or merging them as tabs. We want you to be fully satisfied with our product. If you are not 100% satisfied within the first 30 days of your purchase, you may receive a full refund. If you purchase our products today, that not only gets you the latest version but all future updates free. New features are constantly being added. We use MyCommerce to make the purchasing process fast and secure. Thousands of companies around the world partner with them to provide sales of their products. MyCommerce specializes in safe, secure Internet sales, and fulfillment. When you click the "Purchase" button you will be redirected on our section on MyCommerce's website to complete the order. Copyright © 2019 SystemGoods. All Rights Reserved.